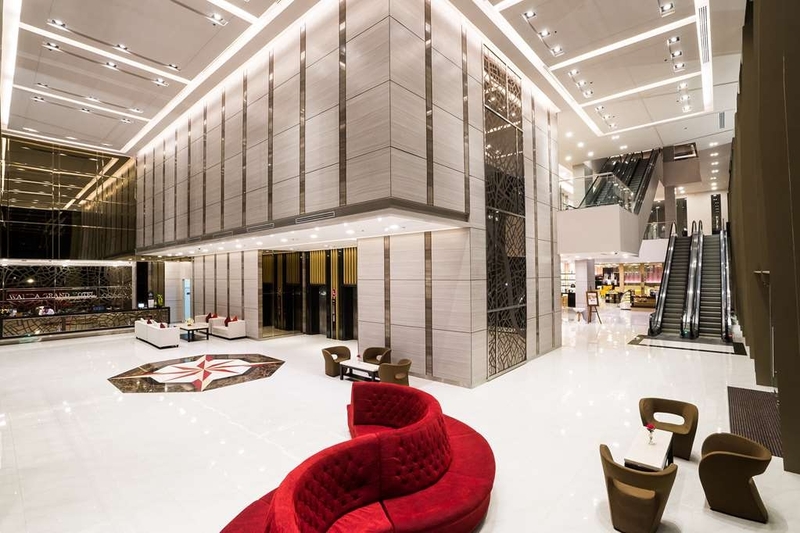 The Best Western Plus Wanda Grand Hotel is ideally located in the center of Pakkred. Come and experience our hotel near the major tourist attractions. Best price guaranteed and exclusive deals. 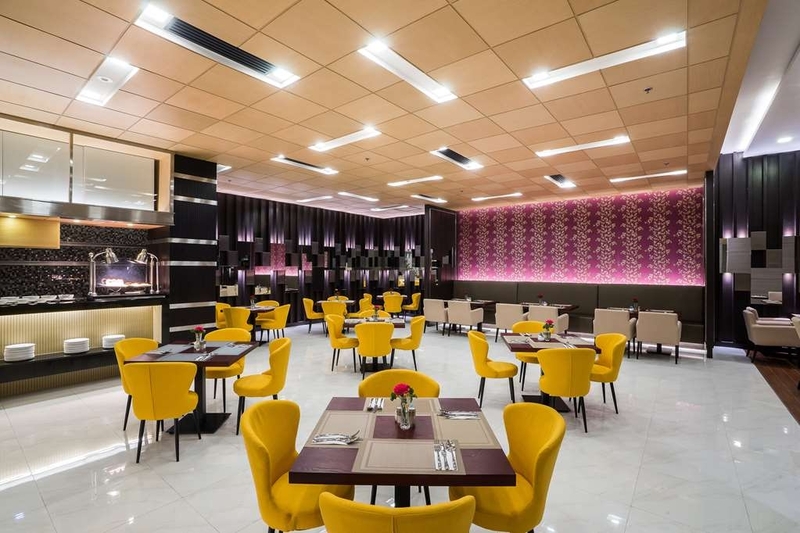 Best Western Plus Wanda Grand Hotel strategically located close to a series of key business, leisure and MICE destinations, the hotel is the perfect choice for all types of traveler. "Excellent hotel - great value"
Really enjoyed my stay. Stayed with a big and all was perfectly arranged. Great value for money and attentive staff! The location is a bit out of the way, but for the purpose of stay it was ideal. Highly recommended! "I stayed here over three months"
Wanda is a perfect hotel in this area. I leaved here for more than three months. Big size room, clean, quite and comfortable. Right opposite to central plaza, easy to find food and shopping. There is also a food market nearby, various of street snacks available. Next to it, you can find Green Land for message and spa. Employees in Wanda are very friendly. Especially Mr Mos Asanee, he is more like a friend to me. He do helped me so much during my stay. I will always choose wanda when I am in Bangkok. Highly recommended to everyone. 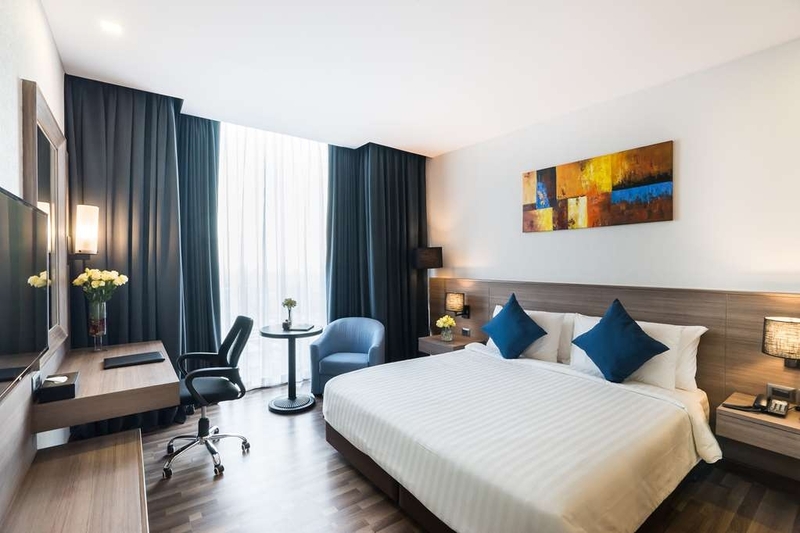 We usually stay at the Novotel Impact when visiting in Chaengwattana area but it was booked so thought to try the Best Western Plus which was conveniently located across from Central. Pro: Location to Central Shopping center Close to Impact Center Clean Con: Front desk was not going to provide two pass cards as the check-in desk said they did not have enough. My wife forgot her card and the staff, but the front desk questioned her if she had more guest in the room than allowed ?? say what ?? After 4 days the hotel is still holding on to my Credit Card deposit without explanation Rule of thumb when travelling in BKK pay a little more and trust me you get a helluva lot more. "Beautiful town view from the room and very convenience to walk to Central Chaengwattana." It was a very beautiful town view from the room and very convenience to walk to Central Chaengwattana. Not far from Donmuang airport. And also not far from IMPACT Arena, Exhibition and Convention Center, Muang Thong Thani. Okay, it is not in the Center of Bangkok, but if you don't need to be there, it's an excellent place. Very friendly, helpfull and good English speaking staff, very clean and nice Rooms with a modern Airconditioning, even Rooms for wheelchair users. This hotel is remarkable. The breakfast is one of the best I ever had in Bangkok and I had a lot). Definitly we will be back on the next occassion. Thank you very much. We arrived at Bangkok by flight at night and wanted to go for an accommodation that is close to DM airport. It took us around 30 mins to reach the property. Checked in was smooth and somehow my little one was not feeling and she threw out a bit. The staff quickly get tissues and handed to us. Very attentive staff. The space in the room was quite right but the bed was very hard, not the bed that you wanted to lay on. Bathroom was big with good shower. Breakfast was excellent as well with wide spread of variety. Just opposite is the central mall which is a huge mall that able to accommodate your shopping need. I'll recommend this hotel if is a short transit.
" Great Value for Money "
I am currently staying in the hotel on a long term basis - 1 month plus. The hotel is very good value for money, with excellent breakfast and a human-touch service, like from a Head of Reception- K. Tinnapop. The property is new and rooms are contemporary designed. "Not central but very nice"
The room was clean with a nice view. Pity the staff were not honest enough to tell me the T,V. was broken instead of blaming the weather, then the T.V. station then the roof satelite. NO T.V. for 3 days. I asked why it was not changed and repaired whilst I was out all day and was greated with a blank face. So I asked if they would leave it until the next guest complained as I did on numerous occasions....No response. Room to avoid is 1506 if you want to watch T.V. "Very warm and friendly staff"
I stayed there for 3 nights in a business trip from 16 Sep 2018 to 19 Sep 2018. Very clean, good room but a little small, good staff, good place near to big shopping mall just 5 min by walking. I suggest it. This four year old hotel is in Nonthaburi, in the north of Bangkok. My well designed, spacious, non-smoking, superior king room featured a floor to ceiling window and had a TV, free wifi, room for suitcases, a modern bathroom, dressing gowns and slippers as well as coffee and tea making facilities and mini fridge. A welcome plate of fruit and small cakes was a nice touch. The hotel also has an outdoor pool and a fitness centre. Breakfast included western and Asian choices which were the same throughout my nine night stay. Eggs were cooked to order. Guests seemed to be a mixture of people on business, holiday and members of sporting groups. My reservation was made by a local colleague and had to be adjusted three times but this was accepted with patience. Door, reception, bar and dining area staff were always polite and greeted me with a smile. A colleague who joined me for the last day was given an upgrade to a suite on the twentieth floor. The suite consisted of a bedroom, living area and bathroom with a large, deep bath. The hotel is diagonally opposite the "Central" shopping plaza and within a short walk of the Health Land Spa and Massage complex. Suvarnabhumi airport (BKK) is about an hour away, depending on traffic and weather - rain always increases traffic volume and slows progress. Worth a visit is the Bang Pa-In Royal Palace, the summer palace of previous Thai kings and now a museum on extensive manicured grounds with several buildings and a small lake. The palace is in Ayutthaya province, 50kms from Nonthaburi. Make sure you dress respectfully. A colleague had to cover her ripped jeans with a sarong which can be hired or purchased from the small souvenir shop. Another 15 kms away is the ancient capital of Siam, Ayutthaya, which is now in ruins, destroyed by the Burmese, but still interesting to see. The hotel was recommended by local colleagues for its quality and proximity to where I needed to be. It was an excellent choice and I would stay here again. The elevator fell from 15th floor to 12th ????? ?with ourselves and young family inside. Staff were very complacent on the incident, as if it's a regular occurrence. They gave us a piece of cake to compensate ??????????????????????????? ?FFS !!! Who trained these guys ? The hotel is very comfortable for us, all hotel staff always help and taking care all of my group. Especially, thanks Mr.Asanee, Concierge (night shift) for looking after my exchange student during the night. Hotel is located in front of mall. rooms are spacious. staff is friendly. room service is quick. Little bit outside of main attractions of Bangkok. Pool is very clean. I visited this hotel with my wife in Dec 2017 with Veena World tour company. 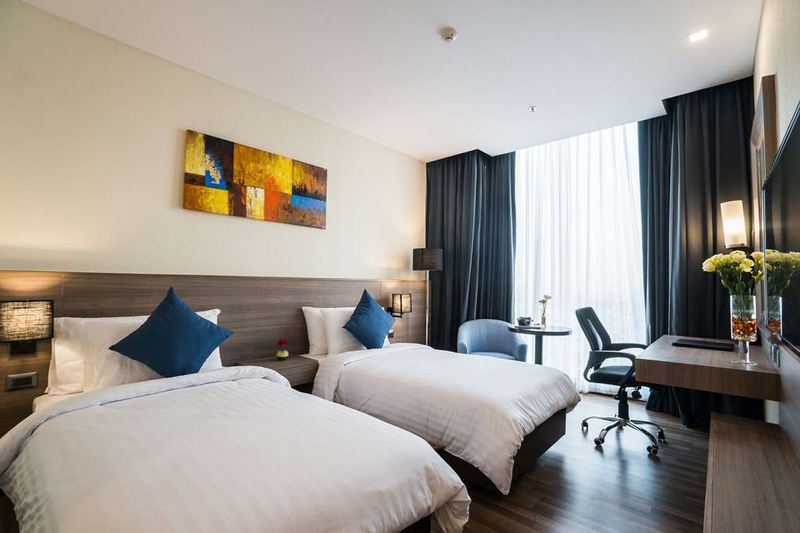 "Our Stay at the Wanda Grand Hotel (Best Western Plus), 111 Moo 4 Changwattana R, Nonthaburi 11120, Thailand"
This is the third best western hotel that I've stayed and it is pleasant though I don't know what "Plus Wanda" mean. A little distant from Bangkok city, the average fare was 200-300bht each trip. We used Grab (similar to Uber app). Or the hotel staff can get taxi for you, it's slightly cheaper than the app. If you're a tourist looking for something to do, look up for Ko Kret island and Mali Market. It's about 100bht or less to go there. You can also take a taxi then canal to the city central. We took a taxi then the boat from Nonthaburi pier to The Grand Palace at Pier N9 at only 15bht, with Orange Flag (Orange Flag is the name of the boat/ticket counter, you won't actually see flags in orange). Around the hotel - 50m away from local food that operates from morning till 10pm at least. Across the bridge (200m from hotel) is the Central Plaza where you have decent restaurants, desserts, cinema and other shopping stuff to do. There are at least three 7-11 within that 200m range from the hotel. You can also eat in the 7-11 anytime you want. Perfect week here in room 1615. All is clean, food is delicious and crew is very professional and kind. Special thanks to Weerayoot for the marvelous smile ;-) Emmanuel, an happy customer from France. Spent two nights at this hotel. It's quite clean, comfortable and has all the amenities you would expect from a Best Western. The room was spacious, comfortable and generally well-appointed. WiFi was excellent, among the best I've found at any hotel. 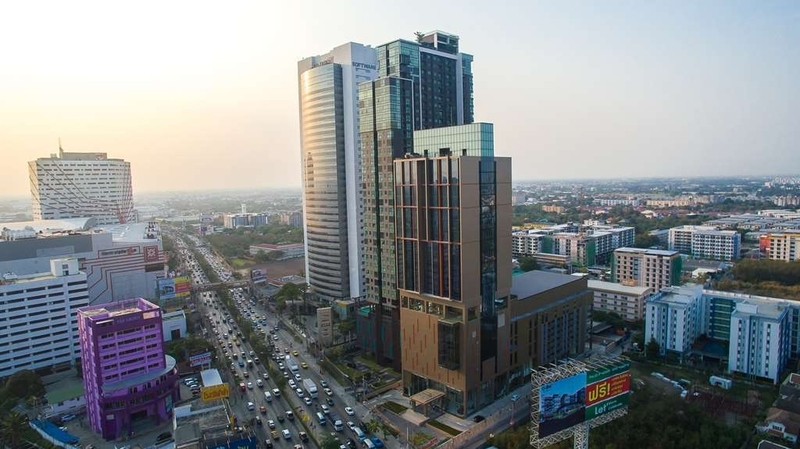 If you're looking to explore Bangkok, the hotel is a little out of the way but it's close to a large shopping mall and there are various other shops in the vicinity. Food was decent, a mix of Thai and Western cuisine is available. The staff are all very friendly and helpful and were pleasant to deal with. Good value overall. Really nice hotel located within easy reach for Don Meuang airport in a cab. Can cost b140 via Grab. Only reason not 5 star as aircon was slightly difficult to maintain a comfortable level. Very friendly service though which is always nice to receive. "Great hotel choice for BKK northern suburb"
we had a pleasant stay, me and my family friendly staff most helpful staff that I ever met. Clean and fresh rooms . Good breakfast. A good swimingpool.the only bad thing was the noise from the traffic outside. "Great clean hotel - a gem in the rough"
My wife and I were married in the area, and stayed here for one last night before leaving to return home. First impression was how modern, and expansive the lobby was - everything looked so welcoming. Great, ultra-clean room on the twelfth floor overlooking the pool area with a fantastic view. Comfortable bed, cable with world news, and a decent breakfast in the morning. Also - a hassle-free check out in the morning - we'll be back! I stay regualry in this hotel. At least 15 days a month. Value for money is the word to describe this hotel. Very good staff and very well designed hotel.Well maintained with all modern amenities. They are located right on the main road and have a good view of the city from the rooms. Only complaint about the hotel is the menu options in in room dinning could improve. "Cozy hotel close to Don Muang Airport"
"i come to your hotel for a holiday around Bangkok etc"
All round pleasant stay despite the staff being clearly overwhelmed at times. It was a busy weekend when we were there - there was at least one major event and we were part of a bigger party there for another event. My wife tried to get a second card key and was told by the front desk they were low on card keys. Room service was clearly scrambling to meet orders on the night many in our party dined in. My food took an hour to arrive and they forgot my beer - which took another half hour to be brought to my room. Still, you can sense the staff trying and I appreciate that and their friendliness. Decent room and gym facilities and a very cold swimming pool! The Wanda Grand Hotel Bangkok topics are: new, clean rooms and hotel, friendly personal! Free stable and highspeed Internet Access. The hotel lies on behalf of the big shoppingmall "Central Plaza" Needs no more comments! "A Very good hotel near IMPACT convention centre"
A very good accommodation, in the outskirts for Bankok city, in Pak Kret area. It is near the old, Don Muang Airport and IMPACT Convention centre. It is high recommended for the people visiting IMPACT for any trade show or other event. Taxi from hotel to IMPACT will cost you about TBH 70. Break fast choices are wide and caters to most type of travelers. I happened to check in early hours, 3 AM and the staff was very courteous and helpful. There is a Central Mall nearby in walking distance which is good for a wide variety of food outlets and a super market. Health Spas are also available in the hotel as well as near by. My stay in the hotel was extremely comfortable, cozy. All amenities were provided. Staff were very respectful and courteous. Food was good and hygenically prepared. I would recommend my friends to stay in the hotel and I will also stay here on my future visits. Rooms are big and the location of the hotel is very good and in the centre of important places. "Great stay overall, busy road, expect traffic"
I had a great stay at the BW plus Wanda while visiting Bangkok. The hotel is very modern and the staff there were all amazing. Room was very nice and tidy. Contained all the necessary amenities and the AC unit was strong. Wifi was very very very fast. One of the fastest hotel wifi's i've seen in a while. Worked without any problems during my entire stay at the hotel. A little far from the city center and it gets worse during rush hour because the hotel is on a busy road. There is a mall nearby as well as three 7-11's all within a 5-10 minute walk from the hotel. Once again, the staff was amazing! Thank you to the front desk staff (Sorry about my spelling) Weerayoot, Budsiri and Kornwarich. I didn't get the names of the security and bell staff individuals who were always opening the doors for waving at me as i walked in and out of the hotel as well. Everything is very excellent except for poor breakfast. High speed internet indoor is perfect. The hotel is opposite to the central plaza where you can find everything to buy (dining, souvenir, clothing, etc...). Room is large and very comfortable. Decent breakfast spread. The hotel concierge is extremely helpful in giving out his best service to all guests. There is a pedestrian bridge few walks away from the hotel that links to Central Plaza. Bed sheets could be cleaner. Dental kits were not given in the room I stayed. This hotel is rather new and you have to tell taxi drivers it's located right beside Software Park at Chaengwattana Rd. "Good for flights to/from Donmueang Airport"
I mainly booked the hotel for their convenient location, technically opposite Central Chaengwattana (a huge and famous shopping mall) and a few minutes to Donmueang Airport. The hotel is new, modern and spotless. The staff were kind-hearted and professional. Modern, comfortable, outstanding staff, and great location. Major shopping mall (Central) is 10 minute walk away; wet market with all sorts of "street food" is 5 minutes away. The only "down" was the fact that they tested the fire alarm at 1:30 in the morning on Oct 9th -- frightened the daylights out of us (after we jumped out of bed, we called the front desk to verify whether there was a fire, they responded no fire, but advised of the testing.) Who "tests" the alarm at that time of the morning = ridiculous! Stayed there for a few nights as the kids had an event at ISB. To start, despite what is shown on the map, access to and from ISB is a challenge. Even if the cab driver knows where the hotel or the school are (which for us did not happen often), a very round about way of travel necessitated by the need for so many u-turns. The rooms are very, very plain, with one of the hardest beds I have slept on in some time. Suitable work space with charging station which was good. Blue light from the wall mounted climate control was very bright and somewhat disruptive to a good night sleep. Rooms were quiet from neighbor activity, but somewhat difficult to keep early morning sun out...afore mentioned blue light aside. Breakfast buffet was very good, above average for this property I would say, and the restaurant food in general I thought was really pretty good...but very slow service. Gym is average, about in line with what you might expect from the property (a couple of machines, free weights a bike and treadmill). Staff mostly helpful, although seemed grudgingly so at times. Not a bad place, but not great, and if you need to be in this area, may make sense to stay here...I suppose. "Great location near ISB/Nichada Thani with wonderful service"
Newer hotel located near the International School of Bangkok. Rooms are decent size with hard wood floors which feels cleaner. Breakfast buffet has a wide variety of dishes so recommend with room. Area does get some flooding when it rains. Staff were very helpful and prompt in their responsiveness from printing out my boarding passes to helping hail taxis. "Overall Environment internal and extenal of the hotel"
Hotel having all the facility as other hotels, if the hotel management looking for outstanding achievement than other hotel, Hope is there for Best Western to be outstanding hotel in near future. Hotel having all the facility as other hotels, if the hotel management looking for outstanding achievement than other hotel, Hope is there for Best Western to be outstanding hotel in near future. Hotel having all the facility as other hotels, if the hotel management looking for outstanding achievement than other hotel, Hope is there for Best Western to be outstanding hotel in near future. Hotel having all the facility as other hotels, if the hotel management looking for outstanding achievement than other hotel, Hope is there for Best Western to be outstanding hotel in near future. Hotel having all the facility as other hotels, if the hotel management looking for outstanding achievement than other hotel, Hope is there for Best Western to be outstanding hotel in near future. Hotel having all the facility as other hotels, if the hotel management looking for outstanding achievement than other hotel, Hope is there for Best Western to be outstanding hotel in near future. Hotel having all the facility as other hotels, if the hotel management looking for outstanding achievement than other hotel, Hope is there for Best Western to be outstanding hotel in near future. Hotel having all the facility as other hotels, if the hotel management looking for outstanding achievement than other hotel, Hope is there for Best Western to be outstanding hotel in near future. Hotel having all the facility as other hotels, if the hotel management looking for outstanding achievement than other hotel, Hope is there for Best Western to be outstanding hotel in near future. Hotel having all the facility as other hotels, if the hotel management looking for outstanding achievement than other hotel, Hope is there for Best Western to be outstanding hotel in near future. Hotel having all the facility as other hotels, if the hotel management looking for outstanding achievement than other hotel, Hope is there for Best Western to be outstanding hotel in near future. Hotel having all the facility as other hotels, if the hotel management looking for outstanding achievement than other hotel, Hope is there for Best Western to be outstanding hotel in near future. Hotel having all the facility as other hotels, if the hotel management looking for outstanding achievement than other hotel, Hope is there for Best Western to be outstanding hotel in near future. Hotel having all the facility as other hotels, if the hotel management looking for outstanding achievement than other hotel, Hope is there for Best Western to be outstanding hotel in near future. This hotel is worth for staying. It make us be comfortable and bring us more convenient. I love this hotel. I will com back for the next time and will share/ suggest my friend to come here if they have a chance. "Staff hard working but there aren't enough"
This was my third time in this hotel. The restaurant has a very limited oft repeated repetoire. The staff really works hard and tries to be of service but there are simply too few of them for the client load. Since it is in a government district there are lots of government and bank meeting making lunch very crowded. The rooms are basic and clean. 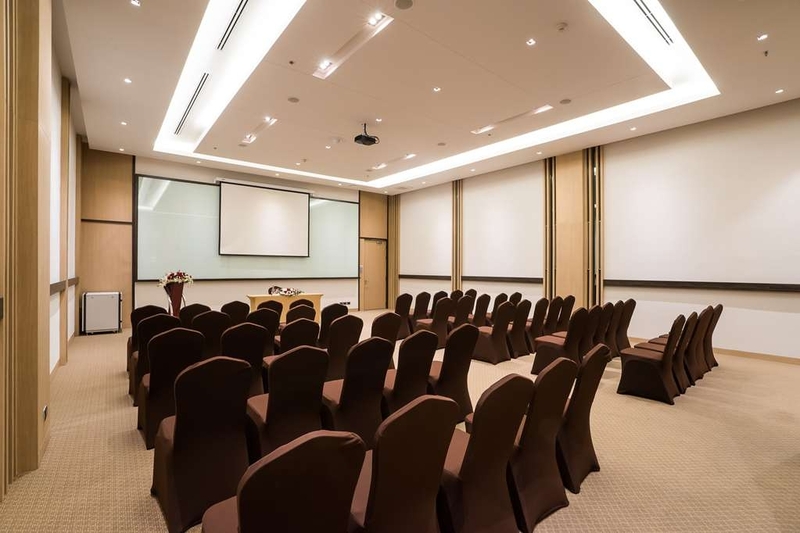 The conference rooms are adequate but we struggled to maintain a reasonable temperature and had some difficulty with the consistency of the projection equipment. "Hotel near to Don Mueang Airport"
The hotel is near to the Don Mueang Airport. The staff are very friendly and helpful. When I arrived, I was welcomed with a welcoming drink. The check in process was fast and efficient. I was a little surprised that I couldn't prepay my breakfast upon arrival. Instead, I was told to pay it when I dine the next morning. But that is not too much a problem. "Good hotel for business travellers"
Provide the essential, with multiple adapter wall sockets which was convenience. Has a good pool and gym, good breakfast spread, but limited option for vegan. unless you can take egg and diary products. No Iron in room, so you will need to request for one if needed. "All was verygood during my two nights stay." Best Western Plus Wanda Grand Hotel located north of Bangkok, around 40 minutes driving, the staff in the reception offered me warm welcome, room was Good as well, wi-fi available free, near by there is Mall and shopping area, the hotel was almost fully booked, however, i told them that i need a smoking room, but they said we don't have smoking rooms, i said do you have balcony in the room , they said No, I believe that the Hotel have to offer smoking rooms. In general, my stay was very good, the service was O.K, breakfast was O.K. I believe rooms view are almost the same. Second time to stay this Hotel. Well trained staff helpful and friendly. Room were clean as well as quality of bed are excellent. Wifi also good. Location a bit far from downtown. But close to Don Muang Airport. Opposite Central Department Store. "A Good and Comfortable Stay"
The staffs are very help and caring. Facilities are up to date and working properly. I have tried and they do attend to your comments or complaints immediately. Too bad hotel is always fully booked and I can't extend my stay this round. The Bangkok traffic at 5pm onward is a pain. What should have been a 15 minute journey from Don Mueng International airport to Best Western took over an hour and a half. Once we arrived to the hotel however, it really was a first class experience. The welcome was great, the food in the restaurant both for dinner and breakfast was very good. The room was very well done with lots of space. Slept well and check out was efficient and friendly. The journey back to the airport was only 15 minutes leaving at 11:45. I'll definitely stay here again. The hotel was chosen to stay conveniently near the Chaengwattana immigration office and near Don Muang airport for onwards travel. The Best Western is a new hotel with everything intact and clean. The room are comfortable but the beds are rather hard and caused some back pain. Further the room is quite noisy with being on the 15th floor you can hear all night the traffic outside and neighboring rooms conversations are well shared. The breakfast menu is quite big buffet but it was apparent the food quality is low/cheap to accommodate the large quantity of food for a very reasonable price. Nearby is a huge Central mall (walking distance) and a few pan cake cafe/tea houses. I went for a day out to the JJ market and mall which is always great fun, takes you by taxi approx 45min for less then thb200. "Very nice place to stay, Staff so nice"
"All the right things with Excellent value for money"
Typical friendly and effective Thai service. Rooms were spacious and well kitted out. Pillows and beds ensured comfortable and good sleep. Breakfasts were excellent as always and a decent selection. Honestly probably the best value for money with some pretty decent eateries around as well as a large shopping centre within easy walking distance. DO NOT miss the Japanese restaurant "Maguro" - easily the best damn Sushi I have ever had! Also worth mentioning was the "Shrimp Shack" next door, but you gotta like your spicy food! Nice pool, nice Gym also. Only one grip, was the nightly dance that had to be done to jump out of the shower as the water would suddenly heat up to scalding every minute or so, before going back to normal! The hospitality is amazing. Smiling, helpful staff all the way. Great big mall opposite the hotel, you can buy your needful there. Very convenient. There is local stall, street food also next to it. Interesting! "Excellent hotel, met all our needs"
An excellent hotel - clean, neat and new with comfortable rooms and courteous staff. We stayed 3 nights and enjoyed the hotel and the location. There is a large mall within 2 mins walking distance from the hotel. "Good hotel for short business trips"
Quite comfortable and good for the money you pay. The food is good and the ambience is quite comfortable. the rooms are quite cosy and well kept.. a good relaxed stay is what is guaranteed. Staff is courteous and the surroundings are well kept. although there is a mall close by the health land about 10 mins from the hotel is an added bonus. Couldnt ask for more with the price they offer. Room, services, facilities,breakfast all above average and worth money value. Have a very comfort stay and will definitely stay here when I visit Impact Convention Center. "Over charged THB 10,528.76 on our credit card." Before our trip to Thailad we were warned not to get ripped off by taxis and shop owners. I never for a second thought to be aware at a well rated hotel. The staff handeling check out were clearly not well trained as our credit card was over charged by THB 10,528.76. As for management... The service was not much better. We were assured that the issue would be dealt with promptly. We recieved absolutely no comunication from the hotel and had to spent the remainder of our trip on a very tight budget as we were now out of pockt due to the hotels mistake. After numerous phone calls and emails to the hotel we have still not recieve the money back. Their response... It could take over a month. Feeling taken advantage of as tourist to Thailand. Will update if we are eventually refunded. "Nice big hotel in the city"
This hotel is fine for business travel. The room was a reasonable size and it was clean. Take note that laundry takes 2 days. The staff was very pleasant and very helpful. They worked at remembering preferences and accommodating needs. The food in the hotel could use improvement; this was also the conclusion of my Thai colleagues. The hotel is in walking distance of a local hawkers market and a Central mall. There is no MRT near by. "Their hospitality went beyond their guests." My boyfriend stayed at Wanda Grand Hotel for two weeks on his business trip and I wanted to bring a small surprise and encouragement for him since he flew all the way from Sweden. I was in Japan at that time and the concierge kindly acknowledged my request to help me deliver a post card to him not long after I first made a contact to them. I felt their thorough care on all the course of processes as if I were one of their guests. I very much appreciated when they wrote me in a mail that they had just delivered the card to him adding that he smiled when he received it. I didn't stayed in the hotel but they helped someone very closed to me when she needed. I'm writing on behalf of a solo traveler of 85 years old. She went spending her day alone in town but at the end of the afternoon she got lost. She came inside the hotel and the front-office staff help her with great professionalism, specialy Mrs ANOCHA. I would like to say a big thanks to her for her warmth and kindness. All the team was fantastic ! Thank you very much. "Quite good hotel except some issues"
"Excellent excellent excellent and at a budget rate"
Everything excellent with the hotel, food, service, staff, free wifi, rooms. Its a non smoking hotel so in case you want to light then go outside. The staff was prompt to provide our room, extremely prompt and courteous. The breakfast was plush. The hotel is about 200 - 300 bahts (depending on the time of the day) taxi drive away from Sukhumvit, in case thats where you want to be...There is a shopping mall, about 5 mins walk and a local market for some shopping. The hotel is about 1:15 mins away from Suvarnabhumi airport and and about 30 mins from Don Muang airport. We booked a king bed suite for an overnight stay prior to flying out of DM airport the next day. The room was very spacious with hardwood floor for the living room and bedroom which I preferred over carpet. There were 2 bathrooms, a smaller one near the living room and a huge one connected to the bedroom. Everything was clean, functional, and comfortable. We ate breakfast downstairs the following morning, and they had a variety of delicious food to choose from. The staff from the front desk, the dining, and the doorman were all very helpful, and made our first day back in Thailand very pleasant. I also wanted to mention that there is an outdoor food market just a short distance away that sells awesome dishes and street food for just a few dollars so dinner was affordable and delicious! I would definitely stay here again if I have to be in the area. "Surprise little Gem in Northern bangkok"
Whilst this is a new hotel it exceeds expectations. Well situated, comfortable and amazing value. Staff were friendly, rooms are comfortable and well equipped. The hotel was surprisingly busy which demonstrated its great value for your money. A true delight. Supportive and approachable customer service made us feel satisfied. They assist my daily needs on freezing the cooling pack for medical needs without failed. And prepared a nice breakfast box for us as we depart to airport in the early morning 5.30am. I was disappointed by this hotel. The beds were so hard I would wake up in the middle of the night with a sore back. The staff was courteous, but when we would ask for something to happen (like calling a taxi), they'd let us know it would take a few minutes for arrival. When we would come back, they would see us and call the taxi then. This is just an example, but it happened several times throughout our stay. The hotel looked pretty, but our room on closer inspection was unclean. It had some things I did like. The room service was good. The staff spoke much better than average English. Our view from the 17th floor was phenomenal. Ultimately though, it comes down to the fact that it wasn't a good nights rest, and didn't have quick service when we needed it. This hotel is a great value and has excellent and very helpful service. It turned out to be convenient for our travel plans. However, travelers should be aware that the hotel is far from central Bangkok and takes some time to get there with the traffic. The breakfast buffet was good and convenient. I appreciated all the kind and helpful service. I would definitely stay there again. The only thing I would change is that I prefer a less firm mattress. The hotel was lovely, although further away from Bangkok airport than I thought, was only 700baht to get there. Room was lovely along with the bed, fantastic view from our high room with large window watching over Bangkok. The pool was a little chilly as it was on the opposite side of the building to the sun. All the staff were very polite, when checking out, asked if we wanted a taxi to which the doorman got us a taxi and explained we could hire a taxi out for the day for only 600 baht and he would take us to wherever we wanted to go (ended up costing 2,500 baht which we obviously got played on). Breakfast was also amazing! "Great Choice with friendly staff and a wonderful breakfast"
I attended a 3 day conference not far from this hotel. I was pleasantly surprised to stay in this modern, clean, efficient hotel. From the welcome drink to calling a taxi, the staff did a great job. Lots of choices at the breakfast buffet, and the chef at the omelet station even made me a Thai style omelet served over steamed rice! If I am back in this area again, this is where I will stay! "Best Western Plus Wanda Grand"
Nice and clean hotel. Near to mall and street food. The only setback I hope the management can improve on is the bed, need to secure the bed firmly so that it won't be shifting all over when you are sleeping on it. 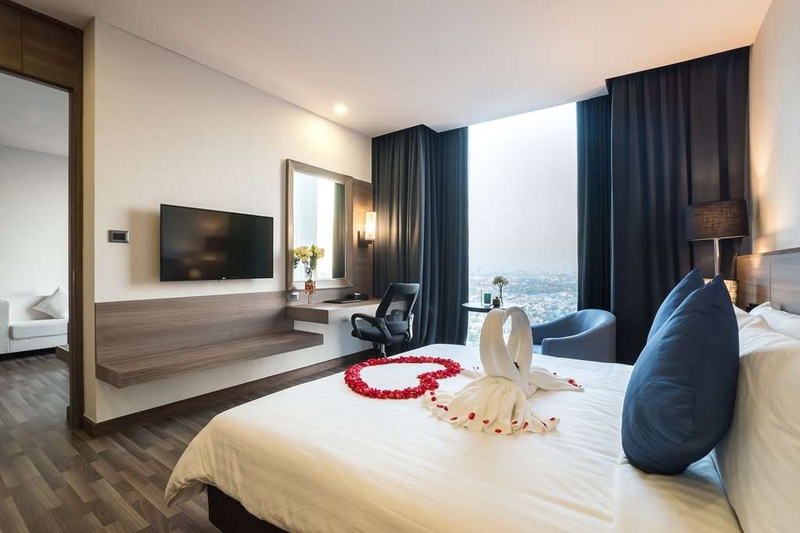 "A wonderful stay in Northern Bangkok"
A clean and modern hotel with a well-designed room and wonderful service. The breakfast buffet is AMAZING. Full western and asian breakfast offerings and more food than you could possibly eat. My only complaint was the fitness center which left alot to be desired. But other than that a great hotel. We stayed here because it was close to friends. We were very suprised at how clean and efficient the staff was. The breakfast buffet was very good. There is a large shopping mall across the steet. New and modern shops, restraunts and theatres. Rooms were spotless. Staff were excellent. we stayed an extra day. Pool clean and fitness centre has what you need. "Nice place for accomodation and meeting"
I went there for meeting , the room is new , clean and big space , breakfast is good and varities , the pool and gym also nice. The meeting room is very new with good facilites. the location is close to shoping (Central Chengwattana) and also local food street food, not too far from Don Muang Airport. I will stay here again for sure. The hotel is rather new and comfortable. The staff is friendly. The breakfast was OK. The only slightly negative experience was the unexpected required deposit of 1000 Bath (25 euro) at arrival, in case you should use the minibar. "Possibly the best hotel we've stayed at in the world"
This was the first place we stayed in Thailand and we loved it. It is possibly the finest hotel we've ever stayed in. The staff are so friendly and helpful, the room was beautiful and absolutely spotless and the facilities were second to none. I cannot recommend this place highly enough. We needed taxis to get to a wedding and the staff were so helpful and friendly taking care of everything. They even made me a cake on my birthday! At around 40GBP per night you just can't get accommodation like this anywhere else. The food was delicious and the pool was warm, clean and quiet on the rooftop with a great view of the area. Obviously this is not the place to stay if you want to be in central Bangkok action but the shopping mall opposite and local bars, restaurants and shops made this a great choice for us to be near the action without being right in the chaos. A sublime choice that will not disappoint. Would recommend this hotel to all travelers to Thailand looking for a place to stay. 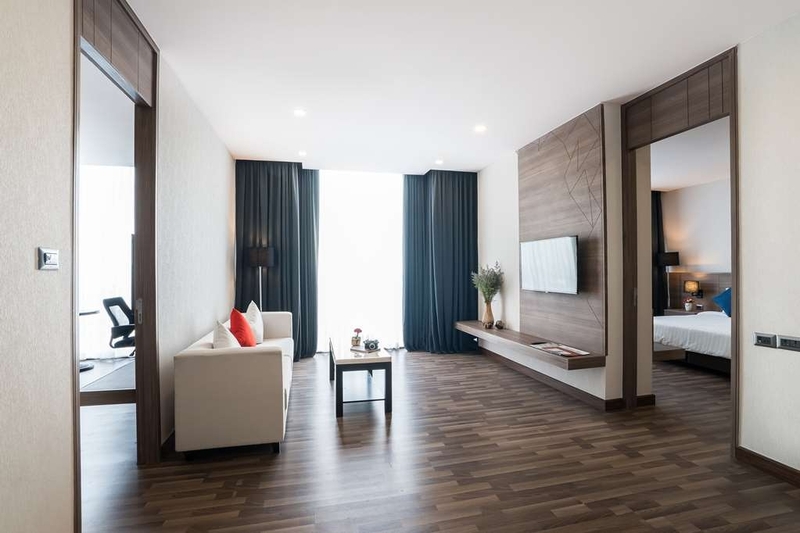 Its a great location out of CBD of Bangkok but close enough to areas of shopping and sight seeing , only cost around $120THB to the famous Chatuchak market and JJ mall. Best Western Wanda Grand was comfortable and clean. It had a restaurant with a nice breakfast offering. Also there is a small lounge/bar. I came for a trade show at the Impact Center and was pleased with the choice. It is a short cab ride of 60-80 baht to Impact. The staff was very helpful and friendly with this English speaker. Even packed a breakfast for me for my early morning departure to the airport since the restaurant was not yet open - without me asking! Very nice room for my family. I think I will come again. I love here. Good service. All staffs are so kindly person. Interduce you test dinner at the hotel very goid test in Thai food and also easily all transport in BKK. "Brand New and luxury hotel." The hotel is very new just open I think, the decorate are so beautiful and modern. Love the room new and clean. The staff was very nice good information. The location is also very good easy to find from Donmuang Airport so convenient. Stayed here for 3 nights whilst visiting family. Hotel is new so all areas are still clean. Its opposite central plaza, handy for food and shopping. Local food market near by on same side of road, providing cheap local meals. Breakfast is great catering for all tastes. The pool gets plenty of sun mainly in the morning. No sun beds but seating in shaded area. Would stay here again. 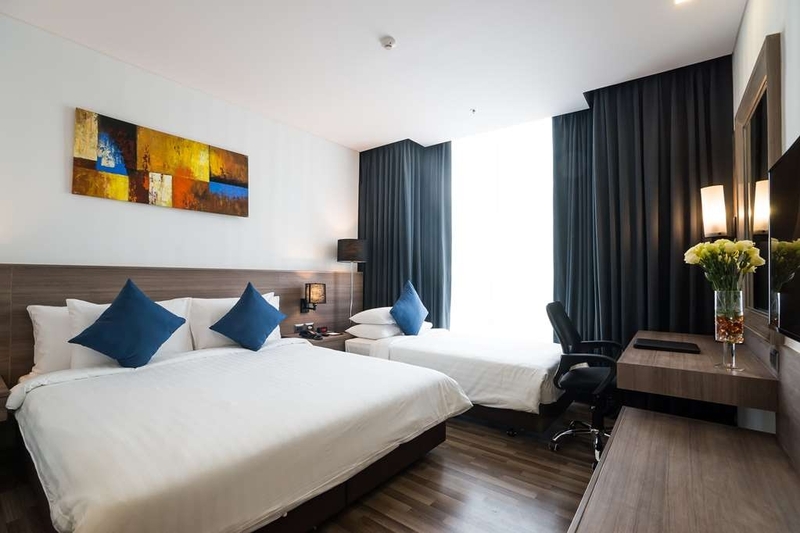 "Close to perfect but not central"
"It's excellent live in this hotel"
Near hotel there is central world shopping mall and small market where you can enjoy the local Thai food. The room inside is clean and comfortable. The staff there is very helpful. The traffic during morning 8:00 is not so good. "Not far from Don Mueng Airport"
A good choice to stay if you have a flight at Don Mueng Airport. But not recommend, if you want to make a day trip in Bangkok. Traffic will be worst both morning and evening. Hotel was brand new, room was good, service and breakfast was also good. You also can walk to a big shopping mall which is just opposite. "New, nice, good buffet breakfast"
The hotel is new and modern. Very powerful water pressure of the shower (I personally don't need that strong as it's a waste). Same as what other reviewers said, the water became too hot sometimes. What I managed to shower was I did not turn the water too strong and too hot. I love their firm bed. I slept very well. They gave 2 water bottles, 2 welcome drink vouchers to use at the lobby lounge until 9pm. Good buffet breakfast starting from 6am which is good as I had an early flight. Nice 2 outdoor swimming pools on the 7th floor. Ask for a locker key from the staff in the fitness room on the same floor. The locker has 1 big towel and 1 small towel inside so you don't need to take extra towels from the staff. Taxi to Don Mueang Airport cost about 100 Baht. The staff called for us. Waited about 4 minutes for the taxi to come. From hotel gate, turn right, walk pass a street food market, walk up the bridge to cross the road and enter a shopping mall. Many restaurants there. When I checked in, there were staff to assist with the luggage but I saw no one when I checked out. We stayed for one night. On the surface it looks like a 4 Star hotel. It is fresh and new and the staff was helpful and friendly. Our room was across the hall from the elevator. That in and of itself was ok, however on the wall was a telephone for no discernable reason. It rang frequently during the late afternoin, apparently for the room cleaning maid (no walkie talkie things?). Then there was the bathroom. At the prices charged, i expect an enclosed shower-or at least the floor should be angled toward the drain. At 1200 baht, I would have been ok, but st 2000 baht, I expect better. "Wonderful people at the Wanda Grand Hotel"
The staff were very friendly and helpful. The Security officers, and the Bellboys were so helpful. The front desk personnel was great. The morning breakfast crew was fantastic. The breakfast was very good also. The Dinner experience was not so good though. They were not able to prepare all the items on the menu, so you had to choose again and again. Unfortunately, it wasn't very tasty either. "Stayed for one night for stop over for our flight to Karabi"
Smooth checkin Rooms were modern, clean, being high floor had great view. Good Breakfast spread. The beds were slightly shaky, they need to improve on that. Overall very good, polite staff. Would recommend for layover. "Hotel to stay if you have things to do around the area!" This Hotel is new so the over all look is clean and the room as well. We stayed on the 18th floor with a King size bed. The bed was comfortable, not sure the type of room we had. Maybe superior room. We stayed here only for 1 night to catch our flight from DMK Airport at 3AM in the morning. This place seems to be popular among business people. It's a walking distance from a shopping center. Located a bit outside the city and definitely NOT close to DMK Airport. It's about 15 mins drive with taxi at 3AM without traffic. And during the day or with traffic (as the street here seems to be on a constant traffic during work hours). The bathroom was nice and clean, the TV channels are more english channels than any Hotel we stayed before, so its good for us. We couldn't say much about this hotel, also about the food as we didn't have any. Couldn't really have a chance to taste any here. We probably gonna stay somewhere else closer to DMK airport next time. But this doesn't mean that this hotel is bad. Like i said, you stay here when you have things to do around the area. This place is pretty far from any tourist area. It's only business buildings and shops around, with street full of traffic. 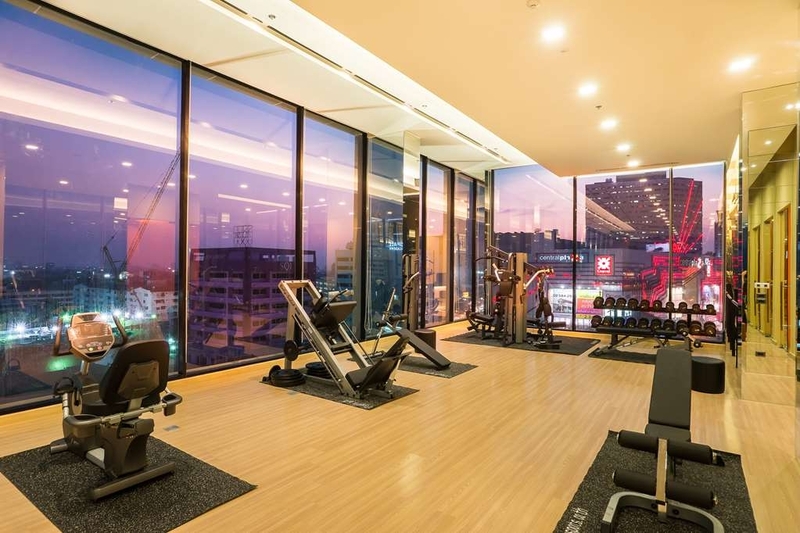 But the Hotel is nice and clean, and by the look of it, the Hotel has a nice Gym area as well. Too bad we couldn't try it. This hotel is outside of city, I came here for my friend's wedding. The ball room is beautiful, perfect for wedding. I stay in Superior King room, well-designed, pillow is cozy. 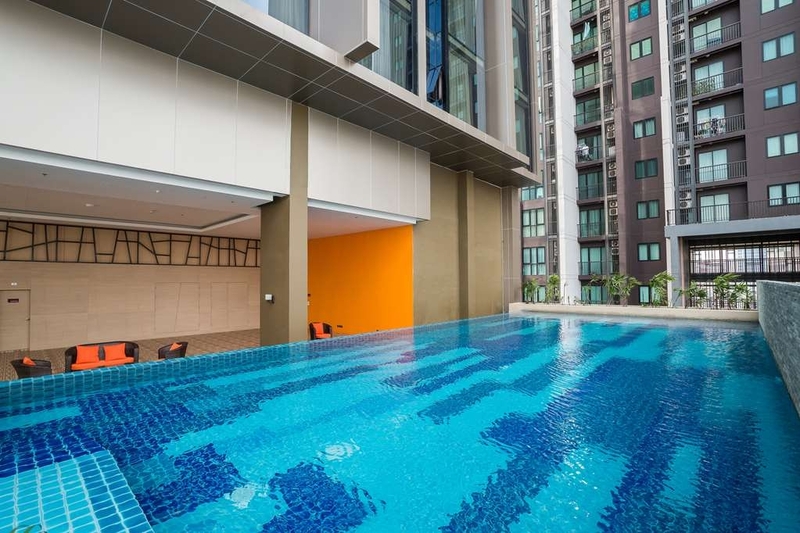 There is also gym and outdoor swimming pool. Breakfast is buffet with multiple choices. Stayed here when moving from Thailand. I wholeheartedly agree with another reviewer. The shower floor is very slippery when wet. I resorted to showering on top of the bath mat because I was afraid of falling. The water does fluctuate hot/cold. Breakfast is expensive. Some of the housekeeping staff is very noisy, talking back and forth between rooms. Staff was very helpful with all my luggage. Except for IT guy when I told them I could not connect to internet. He had his phone connected to data so it was probably working for him. He left and didn't fix the problem. I had to go down to lobby for computer to connect. One day we came back to room and there was strong smell of cigarette smoke although floor was non-smoking. I think it must have come through the vents. This is a recently opened hotel and it's a good, clean and basic hotel with good value for money. Although not all the staff are fluent in English, they are very willing and try to please. The one area of caution is the shower: the tiles get very slick and slippery when wet, and there is no bath mat, so be careful! The water also seems to fluctuate from "just right" to very hot without warning. I stayed with my husband at this hotel becuase it is new hotel. Room was clean and tidy. Facilities was excellent. Staffs were service mind and willing help. Location maybe far from business area but it is ok. Next stay will here again. "Nice new Hotel but may need some changes"
"New Modern Hotel. Excellent Value!" Stayed 3 nights and was a very nice experience. The hotel is close to new and finished to a very high standard. The rooms are a good size and very well equipped. The beds are quite comfortable but a tad on the firm side (as is very common in SE Asia). The food was very good - the breakfast had plenty of choices and was very tasty. We also had lunch in the restaurant 1 day and ordered room service. Both times the food was particularly good and reasonably priced. The location suited us as we had some business in this area - Nonthaburi/Pakret, which is quite a bit north of BKK center. You have a "Central" shopping mall across the road. About 5-10 mins walk over a pedestrian bridge. "Don't take children - The are not welcome." What ever you do, don't think this hotel is any good for children. Its truly awful. Its a most un-welcoming hotel. They charge $9 for a children's breakfast, which for most kids is a bowl of cornflakes and a glass of water. The rooms are spartan, the beds so hard, the floor looked inviting and the cleaners had not removed articles left by the previous occupiers. Don't bother booking here. I stayed for two nights while visiting the impact convention Centre. Reception staff where disorganized. The door was broken on first room offered, waited 20mins while handymen tried to fix it (clear to me initially this would take time). Second room water ran cold during the afternoon, was ok the next day. Food was bland. Rooms nicely furnished. Tv didn't pick up channels every time. Hotel took 4 days after i checked out (paid) to remove/realise the security deposit from credit card, this was a higher amount than my total booking. Staff whispered when speaking to me, difficult to understand and didn't offer any mitigating services for all the inconvenience caused, only so 'sorry please ask me anything'. Would not stay here again, leave it for the tour buses. I was there on business otherwise why would some one stay there!? So far from centre and 50 km from main airport... Rooms are nice and clean - bed was good - people were friendly and reacted quickly when I had an issue. But it took 20 minutes to check in and get my room; The shower switched on its own constantly between boiling hot and lukewarm ; The WIFI kept on dropping off; I had only 5 channels on TV and needed s.o to come and repair; The food is average. Not a great stay.